When China kicks off “Consumer Protection Day” this weekend, it’s online shoppers that stand to gain the most. In fact, the growth in online shopping appears to be one of the main factors driving China’s new consumer law, the first revision to the “Law on the Protection of the Rights and Interests of Consumers” since its adoption in 1993.
new responsibilities for online trading platforms. Consumer protection laws promote the fair treatment of consumers and support consumer confidence and efficient markets. 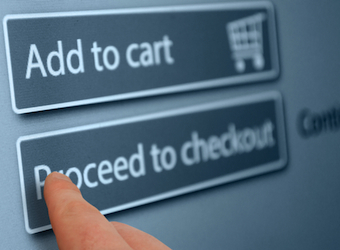 With more affluent consumers and more consumers shopping online, many countries, including the European Union and ASEAN member states are introducing consumer laws with special provisions aimed at online sales. China’s new consumer law will initially impose compliance costs on Australian businesses selling to consumers in China. But what will the new laws mean for Australian consumers shopping online and purchasing from sellers in China? The immediate benefits are likely to be indirect. Australian consumers are already provided with extensive rights and protections under the Australian consumer law. Consumers who seek a replacement of defective goods purchased overseas in a country with less extensive consumer law than Australia may be met with a seller response along the lines of “We don’t know what you are talking about”. Or no response at all. In an age where online reviews matter, it’s more likely the seller’s concern about maintaining a good reputation will influence their likelihood of fixing the problem. Under China’s new consumer law the rights given to consumers are different to those in Australia, with some more extensive and others not as good. For example, under China’s new law consumers have a seven day period to change their mind and return goods they have purchased from an online store. There are some limitations on this right according to the nature of the goods, and consumers have to pay to return the goods. In Australia, cooling off rights of return only apply to goods bought through an unsolicited sale, such as a door-to-door sale. On the other hand, under China’s new consumer law consumers only have a period of six months from the date of receipt to return defective goods, whereas under the Australian consumer law the guarantee of acceptable quality is not subject to a time limit, and instead goods are expected to be reasonably durable. So here Australian law is more generous. Of course Australian consumers may face practical hurdles in utilising the protection of China’s new consumer law, and it’s not clear the law would even apply to offshore consumers. Ultimately China’s new consumer law may prompt a better awareness of consumer rights among online sellers throughout China to the benefit of all consumers, including those in Australia. And perhaps most significantly, it is likely to prompt a better awareness of consumer rights among online retailers and online marketplaces like eBay. China’s new consumer law includes making online marketplace providers or “e-trading” platforms responsible for the conduct of sellers using that platform in a number of respects. If consumers seek compensation for defective goods or services purchased from an online seller and the online marketplace hosting that seller is unable to provide the true name and contact details for the seller, then the trading platform will be liable to compensate the consumer. Online marketplaces will also be liable where they are aware, or should have been aware, that a seller using the platform is engaged in conduct harmful to consumer interests. The impact of the new regime will depend largely on the degree to which consumers and business in China are educated about their rights and responsibilities, and whether the regime is properly enforced. If it is, then online marketplaces will have an incentive to ensure seller information is accurate and that they are dealing fairly with consumers. Jeannie Paterson receives research funding from the Australian Research Council and the ASEAN-Australia Development Cooperation Program.